Leading Remainers cheered John Bercow to the rafters this week, with ‘People’s Vote’ architect David Lammy MP among those celebrating the Speaker’s apparent knockout blow to Theresa May’s Brexit deal. Meanwhile, Chuka Umunna MP – Lammy’s Labour colleague until he defected from the party last month – circulated messages saying the British public should ‘blame May not Bercow for this catastrophe’. However, perhaps Lammy, whose father was a West Indian immigrant, and Umunna, whose father grew up in Nigeria, were being admirably generous in their praise. For had the views Bercow espoused as a young man ever been enacted, it’s highly unlikely either Lammy or Umunna would now be MPs. One might even argue they and their families would not be living in the UK. The reason? The young Bercow campaigned with neo-Nazis who endorsed an odiously racist policy for black and Asian Britons to be ‘repatriated’ to their ancestral homelands. Also, for much of the 1980s and 1990s, he was a hero of the far-Right and made outspoken attacks on feminism and gay rights. He endorsed capital punishment, too, and, after becoming an MP in 1997, gained a well-earned reputation for misogyny. 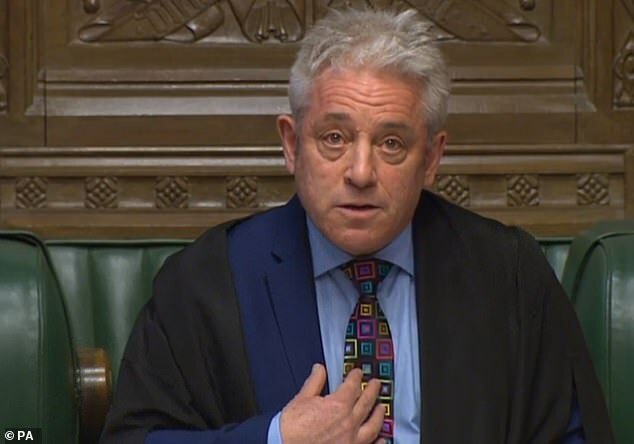 It is no exaggeration to say Bercow has executed one of the most extraordinary political U-turns in Parliamentary history. Nowhere is this more pronounced than on the issue of Europe, where he’s lurched from political extremes, turning from one of the EU’s most outspoken critics into perhaps its most controversial defender. In these polarised times, this naturally divides opinion. Some will doubtless applaud the path he’s taken. But many colleagues regard it as a cynical manoeuvre by a politician governed by insatiable vanity and an overbearing lust for power and attention. 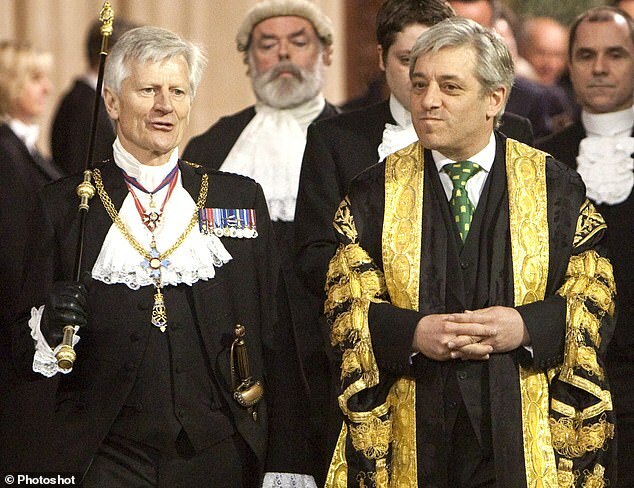 Bercow’s political journey began shortly after his 18th birthday, when he decided to join the hard-Right Monday Club, a controversial organisation that promoted what it called ‘traditional Tory values’ but most notably a campaign against immigration. After suffering acne and being bullied at school, this son of a cab driver was drawn to politics by Enoch Powell, the Right-wing Conservative whose ‘Rivers of Blood’ speech raised fears of Britain becoming a country where ‘the black man will have the whip hand over the white man’. 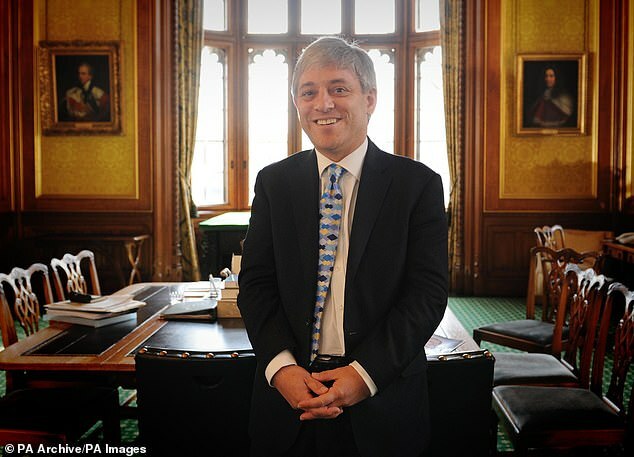 Bercow stood for election to the Monday Club’s ruling national executive committee. His manifesto stated ‘the strengthening of our national identity demands a programme of assisted repatriation’ for black and Asian immigrants. A contemporary, Gregory Lauder-Frost, recalled that although his accompanying speech was ‘very well received’ at its 1982 conference, Bercow failed to win the vote, perhaps due to the fact he ‘rubbed people up the wrong way because he was extremely pushy and rather pleased with himself’. 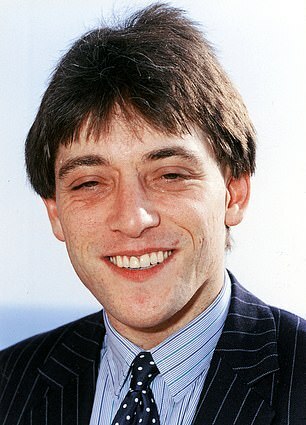 Undeterred, Bercow served as secretary of the club’s so-called ‘immigration and repatriation committee’ for around 18 months. When his role in furthering its racist agenda became public in the 1990s, he apologised grovellingly, saying he left at 21 in 1984 after finding ‘there were a lot of people at the meetings who were really unpleasant racists’. He also described his membership of the Monday Club as ‘utter madness’ and dismissed his views from that time as ‘bone-headed’. 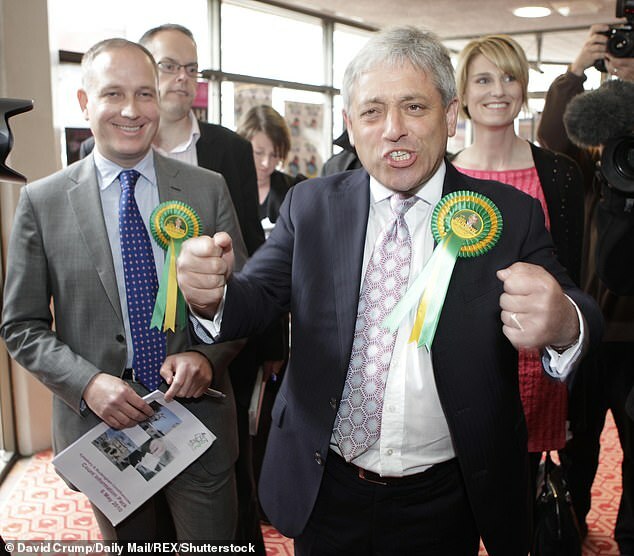 Bercow next threw himself into student politics at Essex University. As chairman of its Conservative Association, he was a hate figure among Left-leaning peers. ‘Essex was a very Left-wing university at the time and he was pretty much universally despised,’ a contemporary once recalled. 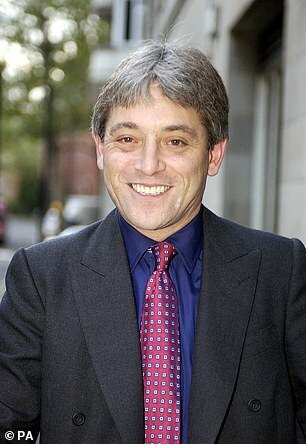 ‘He was always attacking Left-wingers, gays and feminists.’ Despite, or perhaps because of, such incidents, Bercow swiftly rose to greater prominence, next as chairman of the Federation of Conservative Students, which became notorious after its members attended protests in T-shirts with the slogan ‘Hang Nelson Mandela’. Bercow has since denied he approved of the stunt, or wore one of the shirts. However, a contemporary, Derek Laud, has said the firebrand Right-winger was ‘robustly in support of the apartheid regime in South Africa’. Either way, Bercow’s federation also campaigned against the Labour-led National Union of Students under the banner ‘We sank the Belgrano and we’ll sink the NUS’ (referring to the Argentine navy cruiser in the Falklands War) and ran a recruitment campaign featuring a poster of an Ethiopian child with the headline ‘Poor? Starving? Desperate? As if! Join Conservative students.’ So extreme were some of its stunts it was shut down by Norman Tebbit for being too Right-wing. By then 24, Bercow was a Tory councillor in Labour-run Lambeth, south London. In 1987, he kicked up a fuss over a scheme to put gay literature in children’s homes and libraries, telling reporters he’d written to Neil Kinnock, then Labour leader, asking him to intervene to prevent ‘this sinister and evil proposal’. Bercow’s controversialism survived his election as MP for Buckingham a decade later. Indeed, he continued to enjoy making offensive public pronouncements. In 1998, for example, he told an interviewer that female Labour MPs complaining about sexism were guilty of ‘a defence mechanism against their own inadequacy. You don’t get the competent, attractive ones like Yvette Cooper moaning about sexism’. Two years later, he launched a misogynistic attack on Cherie Blair, calling her ‘a cross between First Lady and Lady Macbeth’. He also called Labour MP Robin Cook ‘the most arrogant, pompous and unsuitable foreign secretary in living memory… buzzing around like a demented bluebottle’. He remained a council member of the Freedom Association, which campaigned for the UK’s withdrawal from the EU, until the early 2000s. In 2002, Bercow married Labour activist Sally Illman. Soon after, he began his political U-turn, campaigning for liberal issues such as racial equality, while seeking to gloss over his Right-wing past. While part of the then Tory leader Iain Duncan Smith’s team, he clashed with his boss over Duncan Smith’s refusal to support gay adoption. Many in the party think there is still a bitter legacy from that disagreement – with Duncan Smith being an ardent hard Brexiteer and Bercow seemingly on a mission to sabotage Brexit. 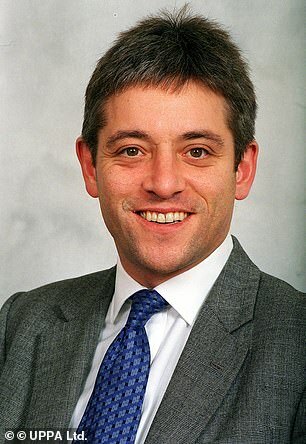 In 2005, Bercow’s Wikipedia page was mysteriously edited by someone inside Parliament to remove reference to the Monday Club; four years later, he was elected Speaker thanks to Labour MPs’ support. Nowadays, Bercow’s fiercest insults are saved for Tory former allies such as Andrea Leadsom, whom he called a ‘stupid woman’, and the Parliamentary staff he’s been accused of mercilessly bullying. 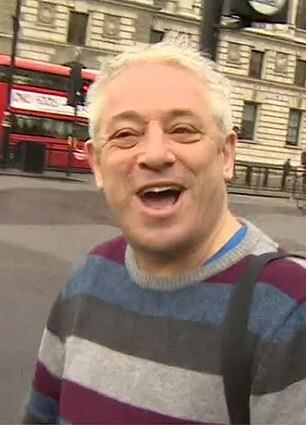 Perhaps the only constant in a career that has seen John Bercow veer from political extremes is his ability to put himself at the centre of controversy.